Before I get to a few ripple effects, first let's discuss the principles. Eli Manning is a two-time Super Bowl champion. 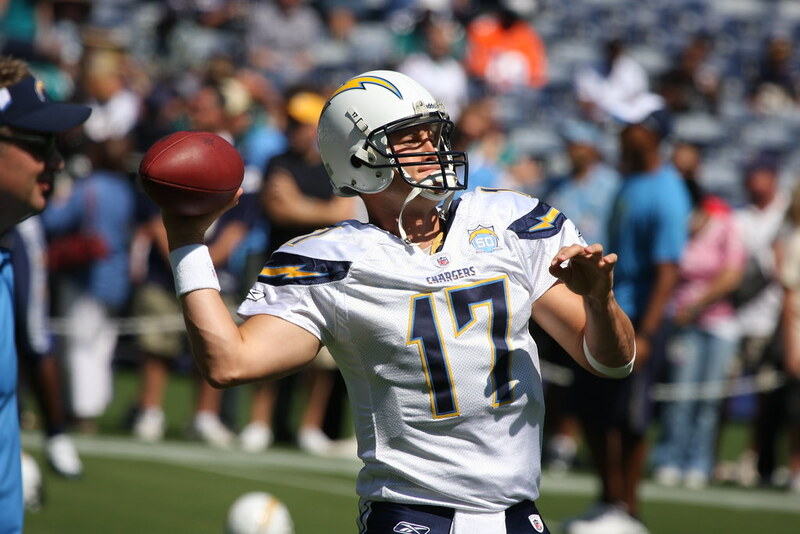 Philip Rivers has been inconsistent of late, but was capable of Pro Bowl production. Nate Kaeding is the most accurate field goal kicker in NFL history (playoff kicks notwithstanding). Shawne Merriman at one point was one of the most feared pass rushers in the game. And Roman Oben was a veteran left tackle that the Chargers desperately needed. Shawne Merriman's early career success is diminished once he was caught for using steroids in 2006. But it's important to note that he was still a highly productive player even after he was caught. After serving his four game suspension, Merriman still led the league in sacks with 17, even though he only played in twelve games! And then again in 2007, Merriman recorded 12.5 sacks. But it wasn't until persistent knee injuries in 2008 that his effectiveness all but disappeared. Now in 2012, health once again colors the long view outcome of the 2004 trade, this time forcing the Chargers to release Nate Kaeding, the most accurate field goal kicker in history. Sure he had his post-season problems, but I can live with that; it's up to the other position players to start scoring touchdowns instead. It created an instant quarterback controversy with incumbent Drew Brees (who would go on to be one of the greatest free agent signings in history, winning a Super Bowl with New Orleans). 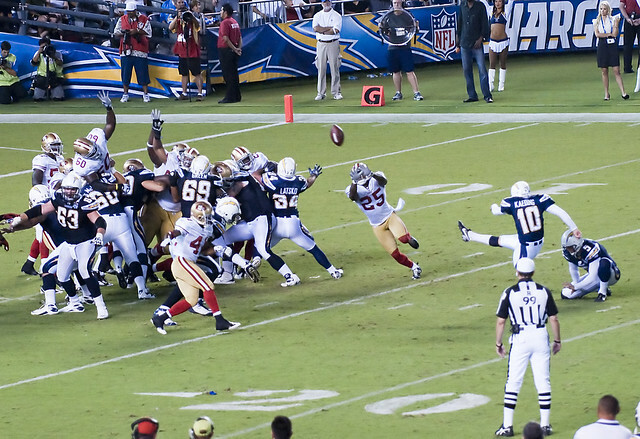 Along with Antonio Gates and later Vincent Jackson, the San Diego Chargers became less a team focused on the power run (exemplified by the tandem play of LaDainian Tomlinson running behind fullback Lorenzo Neal), and instead the Chargers became one that highlighted the vertical passing game. A young undrafted wide receiver by the name of Wes Welker was in a Chargers uniform once upon a time. He was a dynamo during pre-season and fans were eager to see him play. But the Chargers already had a slot receiver by the name of Tim Dwight, and so Welker was deemed expendable. His release and subsequent move to New England (after a few years in Miami) would find Welker partnered with Tom Brady, altering the AFC landscape. Incidentally, Dwight seemed to find his way to New England too, as well as Rodney Harrison and Junior Seau. Eli Manning has become an elite quarterback playing for the New York Giants, which of course many predicted from his play at Ole Miss. 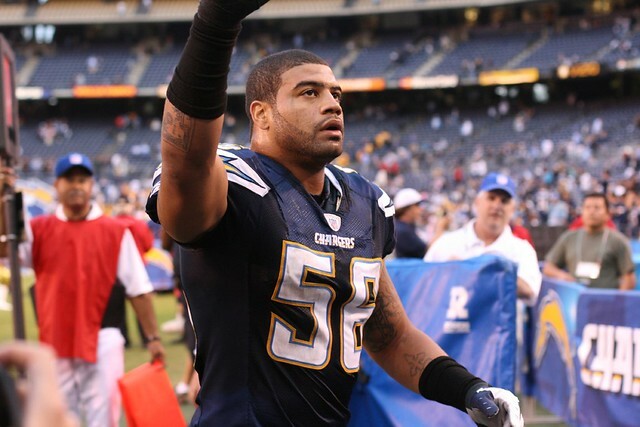 Injuries (and steroid use) cut down Shawne Merriman. Injuries (and post-season woe) cut down Nate Kaeding. And despite not being part of the actual trade itself, Wes Welker has had a fantastically successful career thus far. Sadly for this Chargers fan, I no longer believe that both sides won that trade.